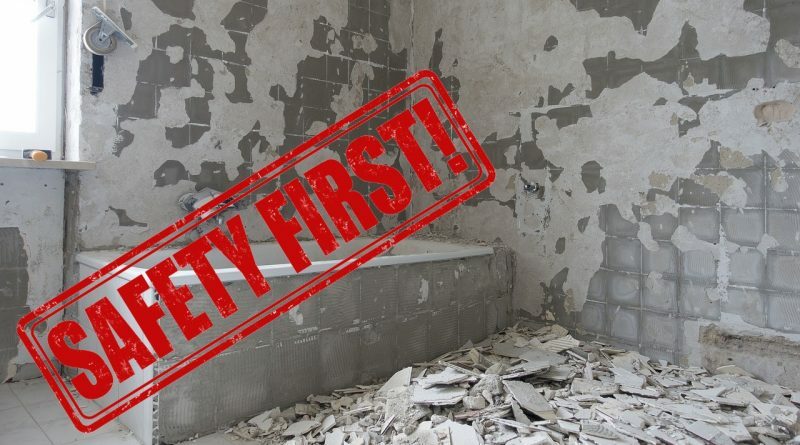 One of the last things that people think about when renovating their bathrooms is safety. 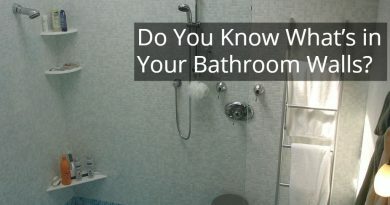 On a construction site you are required to wear a safety hat and steel-toed boots, but because a bathroom is in the home, many people tend to forget that the potential hazards are about the same no matter the size of the zone or its location. Safe work habits should be practiced at all times to avoid unnecessary injury. While following these standards may be a slight inconvenience, the rewards far outweigh the risks. 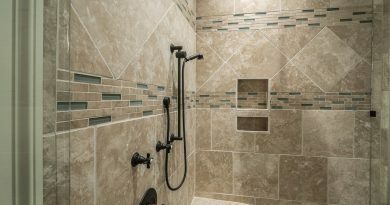 And one of the most important things to remember is to know your limitations; this alone will tremendously reduce your chance of injury while you remodel your bathroom. Keep your work area clean and minimize any clutter, the last thing you want to do is trip and fall over something. And make sure your remove or bend all nails flat from boards. Wear the proper safety attire for the job at hand. Coveralls not only protect your skin from chemicals, but it also protects you from scrapes and keeps your clothes clean underneath. Acquire the necessary safety equipment such as a fire extinguisher. You may not necessarily even need gloves, a dust mask or respirator, safety goggles or a hard hat but it’s still a good idea to keep them handy in cases an unforeseen situation arises, such as someone working above you on a ladder or when removing ceiling bits and pieces. It’s never a good idea to try to force anything, know the consequences of your actions and let the tool do its job. When lifting or moving heavy objects, keep your back straight and make sure you have sure footing and scan the area before you step. Another important thing is to make sure you read all directions carefully especially when dealing with corrosive or flammable materials such as solvents and adhesives. Though you probably won’t need it, keep a first aid kit handy for any nicks and scrapes. Take frequent breaks and don’t over exert yourself. Sure it’s great to get as much done as possible, but it’s just as important to pace yourself. Proper maintenance and use of your power tools should go without saying. Watch for frayed cords, check your safety guards and try not to wear clothing that is too loose when operating power tools. If you are working on anything that is even remotely electrical in your bathroom, then turn off the power, circuit breakers, fuses etc. And use a voltage meter to check the lines just to be on the safe side. Above all use common sense. If you are unsure, then seek professional help. 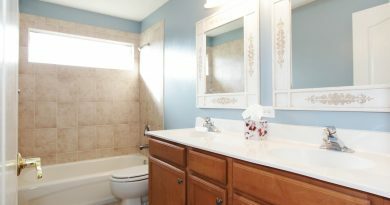 Bathroom renovations can be at times challenging, yet there are several things you can do before you begin to ensure a safe and enjoyable bathroom remodelling project. ← Seeking Bathroom Design and Construction Professionals – To Hire or Not To Hire?